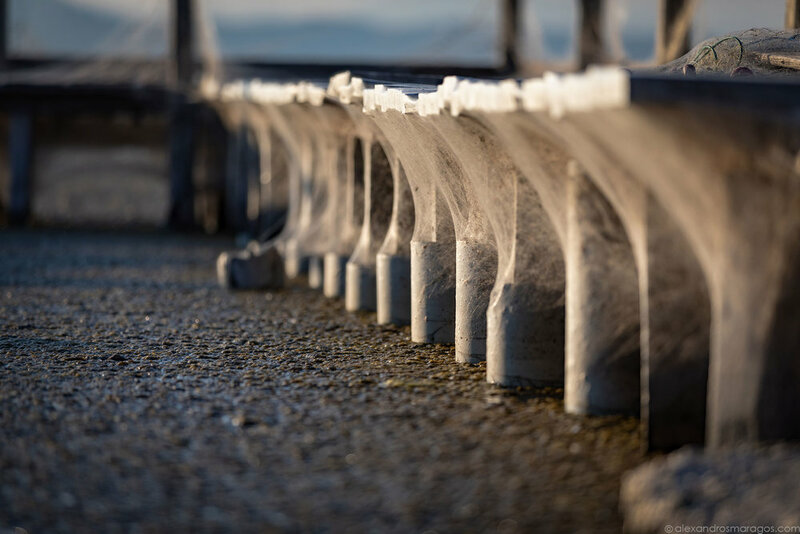 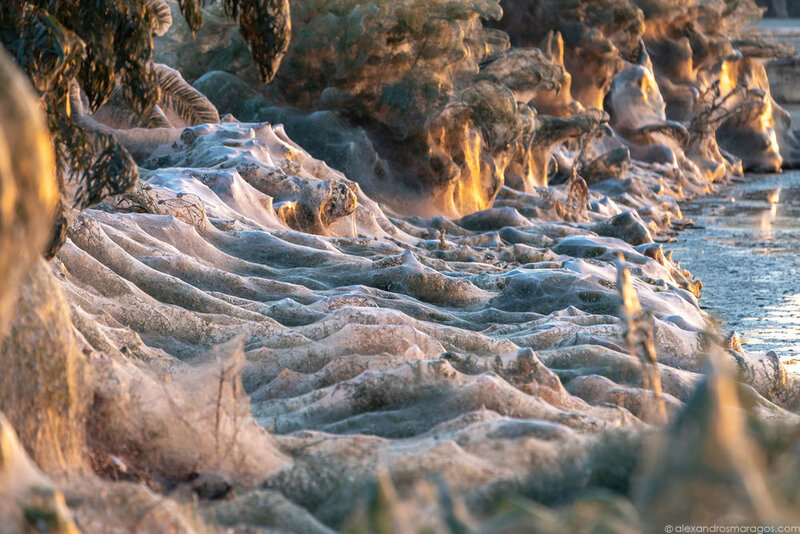 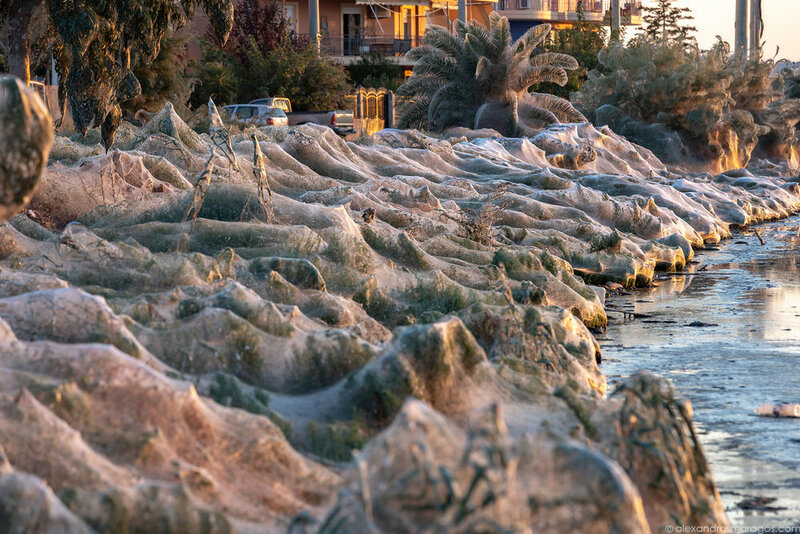 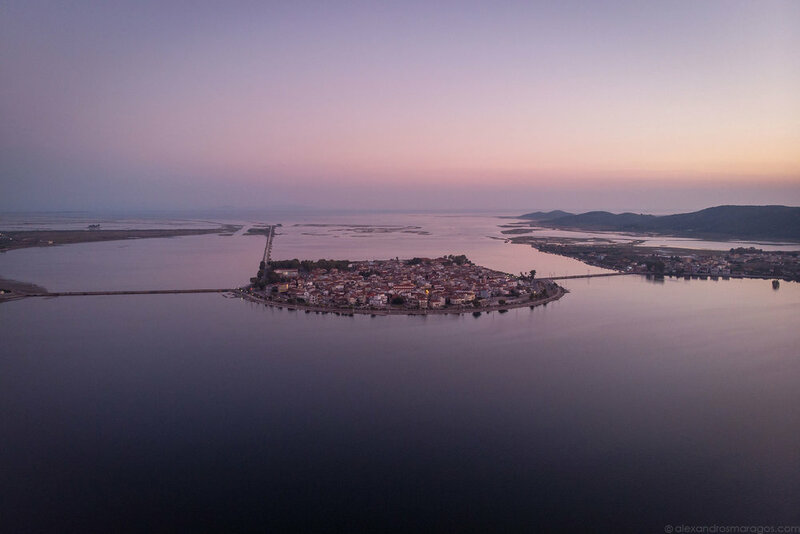 A massive 300m-long (1000 foot) spiderweb blankets Aitoliko town in West Greece. 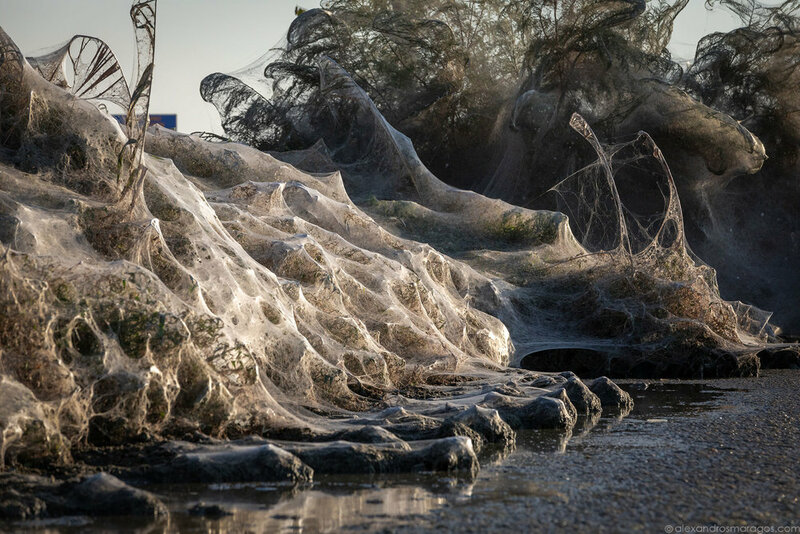 The web has been built by thousands spiders of the Tetragnatha genus. 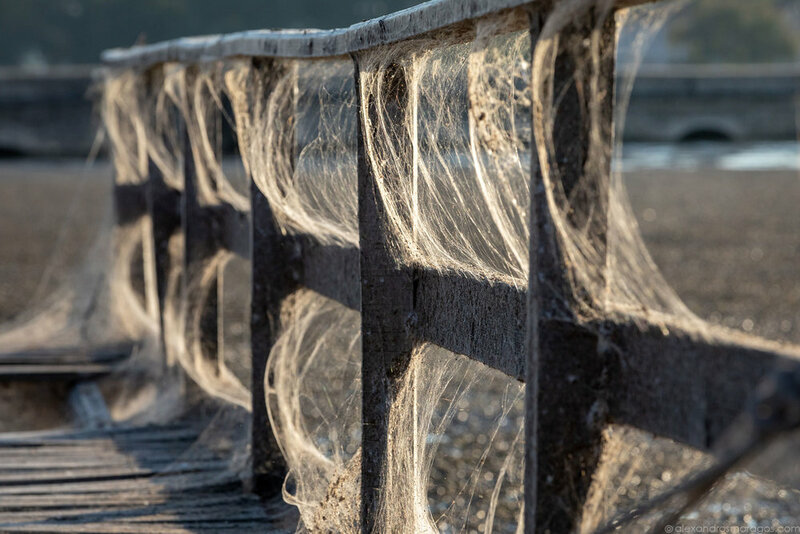 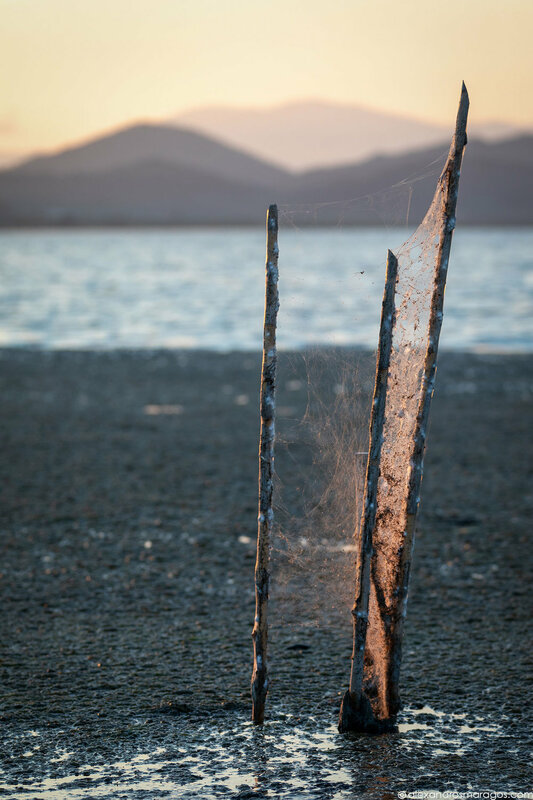 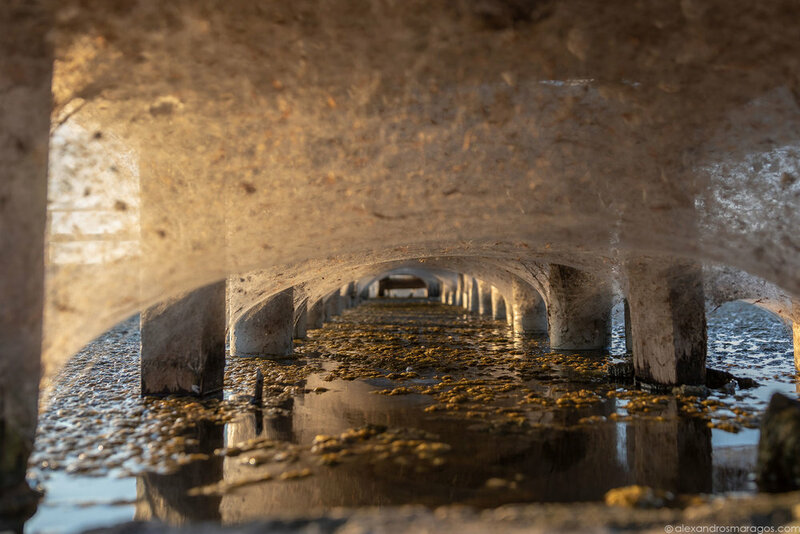 As they built their web, they kept covering up large parts of the beach, trees, bushes and even, animals.